Noting pent-up demand from the U.S. market and on the heels of two strong future booking months, AmaWaterways today announced its 2018 sailings are now open for booking. The line’s new brochure features an exciting array of offerings, including the debut of AmaWaterways’ newest state-of-the-art ship, eight new itineraries, more wine-themed cruises and an expanded list of included excursions, giving guests more ways to personalize their cruise experience. 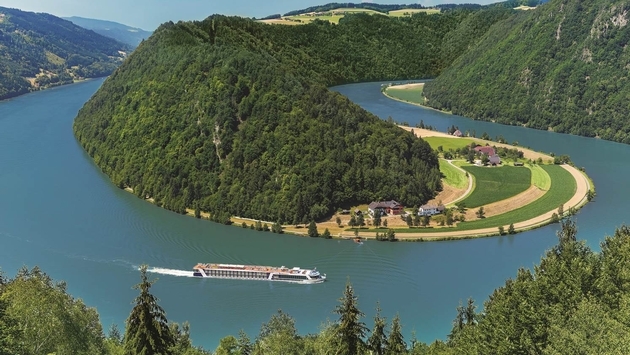 AmaWaterways will add to its growing European fleet in 2018 with the addition of AmaLea, a 158-passenger ship sailing the Danube as well as popular spring Tulip Time cruises. Modeled after sister-ships like the soon-to-be-launched AmaKristina, AmaLea will feature connecting staterooms and triple accommodations, unique signature twin-balconies, swimming pool with swim-up bar and so much more. Guests sailing aboard will enjoy the high levels of luxury, service and complimentary choices for which AmaWaterways is known, including the intimate Chef’s Table specialty restaurant, and new for 2018, the daily “Sip and Sail” cocktail hour. In 2018, AmaWaterways will introduce a new exotic itinerary in Africa, and one in Vietnam and Cambodia, as well as six new Europe itineraries. 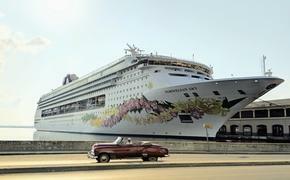 Travelers now have the choice of traditional seven-night cruises or extending their enjoyment with a ten- or eleven-night cruise. All cruises are perfectly packaged with optional land programs in such legendary cities as Vienna, Paris, Prague and Zurich, and feature a menu of daily included shore excursions with multiple options for guests to tailor their experience. For those guests wishing to continue their health and wellness activities when they travel, AmaWaterways has expanded its award-winning biking and hiking tours along Europe’s historic rivers. And for 2018, AmaWaterways is proposing 50 wine-themed cruises through the renowned wine regions of Austria, Germany, Portugal and France, bringing a more in-depth epicurean dimension to standard itineraries — all at no additional cost. Highlights include special wine tours and tastings at local wineries and private cellars, visits to renowned vineyards and wine expert-led informative sessions. Incentives for Booking Early Travelers wishing to get the itinerary, ship, stateroom category and departure date of their choice, can book their 2018 vacations now and receive savings up to $500 per person, depending on the duration of the cruise and $750 per person on European Wine Cruises when they book by July 31, 2017. For more information, to order a new 2018 Preview Brochure or to book an AmaWaterways river cruise, contact a travel professional, visit AmaWaterways.com or call 800-626-0126. Follow AmaWaterways on Facebook and Twitter.